Database Systems Corp. provides automated answering solutions using computer telephony technology for the call center industry. DSC offers CTI Software and phone systems as well as outsourced contact center services that employ this computer telephony technology. Inbound phone calls are processed using our IVR software and automatic call distribution (ACD) system that answers calls without an operator. One of the means that this software uses to process user requests and to route phone calls is the phone keypad entries entered by the user. These entered key codes are referred to as Dual-Tone Multi-Frequency (DTMF). Dual-tone multi-frequency (DTMF) signaling is used for telephone signaling over the line in the voice-frequency band to the call switching center. The version of DTMF used for telephone tone dialing is known by the trademarked term Touch-Tone, and is standardised by ITU-T Recommendation Q.23. Other multi-frequency systems are used for signaling internal to the telephone network. Contact DSC to learn more about our CTI software employing DTMF phone keypad signaling features. To view other call processing features, please visit our phone system features web page. DSC software utilizes DTMF signaling in our award winning computer telephony software applications. 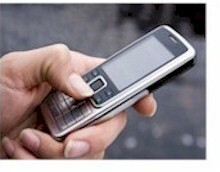 IVR software from DSC uses DTMF signaling as the primary user communication method. Calls are processed using our automatic call distribution system which determines the called number and transfers this call to an agent hunt group. Call center agents or workstations are identifed to the phone system and placed in various user groups. As a call is received, the DNIS of this call is used to lookup the agent group associated with this DNIS. The next available agent in this group is determined and the call is routed to this workstation. DTMF processing is just one of the many features of our computer telephony integration and IVR software. This rich set of phone software library routines enables application programs to control a phone system. CTI software lets you increase your call processing center's productivity, enhance customer service and reduce costs by combining the capabilities of our call center phone system with the custom functionality of your Windows, Unix or Web applications.